A LABOUR MEP yesterday said the £500,000-plus cost of establishing Welsh as an official EU language could not be justified. Plaid Cymru MEP Jill Evans has made renewed calls for Welsh to become the 24th language to gain official status in the European Parliament, where Wales has four representatives. Labour MEP Eluned Morgan said the money would be better used encouraging grassroots projects to promote the language. Ms Evans said: “Giving Welsh an official status at EU level has more than symbolic value. Welsh speakers will be able to communicate with EU institutions in their own language. This is vitally important when it affects so many aspects of our lives.” However, Ms Morgan said: “I would rather see the money it would cost to provide Welsh translation services in the parliament invested in promoting use of the language at the grassroots – in ensuring there are Welsh-language nurseries in our towns and villages or that people who want to learn the language are able to do so.” The divide between Labour and Plaid comes at a time when the UK Government is negotiating for the limited use of Welsh in EU institutions – with Cardiff Bay footing the bill. It is understood proposals would allow Welsh-speakers to address some meetings in Welsh, with English interpretation, but without interpretation into Welsh. A UK Government spokesman insisted this was “not about adding Welsh to the list of official EU languages”. He said: “These proposals are still under discussion and no arrangements have yet been agreed. Any costs incurred will be paid for by the Welsh Assembly Government as part of its commitment to promote the Welsh language.”The 785-member European Parliament spends more than £500,000 a year providing translation facilities for Irish Gaelic, which became an EU official language last year – despite the fact there is only one native Gaelic- speaker in the chamber. Aran Jones, chief executive of Welsh-language pressure group Cymuned, was disappointed that Labour was not championing official status. He said: “We should be starting from the standpoint that of course we want to see it as an official language. That should be taken for granted.“If there are complications and overwhelmingly powerful financial arguments (against that), with the rest of Europe we will look for the right answers.” The One Wales coalition deal between Labour and Plaid commits the Assembly Government to “drive forward our efforts to obtain agreement on the use of the Welsh language in specified areas of EU business. We will use this experience to explore with the Westminster government the making of an official application to the Council of Ministers for the Welsh language to receive official EU language and working language status.”Ms Evans has already addressed the European Parliament in Welsh – without any interpretation. She spoke Welsh in response to a speech by the then UK Prime Minister Tony Blair in the European Parliament in 2005. TUCKED away in remote Fryupdale is a couple running a prize-winning service from their home that’s unlikely to be found generally in such a rural area. Alaistair and Cora Weir have a Dutch-English translation service and have recently been awarded a prize for their work by an American organisation, the Umhoefer Prize for Achievement in the Humanities, for their translation of the letters of Van Gogh. Each of them was presented with a small bronze statuette and cheques for $1,500 or around £700. Mrs Weir, who is Dutch, said that Van Gogh wrote mostly in Dutch but then towards the end of his life, after he had moved to live in France in Arles and Paris, he wrote in French. The letters are to his friends and family including his brother but they have published only those relevant to his art. Mrs Weir said: “We have only used those which mention his art – not ones where he just talks about going for a walk and so on.“The letters have been translated and published before but we have made a new translation from an original published text.” And she confessed: “I was never terribly struck on Van Gogh before but now I’ve come to appreciate him although he was a strange sort of man, very emotional and hard to understand. “We have a particular interest in art especially of the 17th Century and Holland is very rich in it. “We work very much together – I’m the Dutch expert and Alaistair is the English expert but it’s a joint effort.” They have also translated large “coffee-table” style books and guide books from Dutch mostly on art and lifestyle but also on a wide variety of subjects including gardening, design, houses, cookery as well as cats and Belgian beer. The couple previously worked in Hull where Mrs Weir was in the Dutch department of the university and Mr Weir was a lecturer at the College of Commerce. They bought their house in Fryup in the 1960s as a holiday home for themselves and their children but when they retired decided to make it their permanent home. And although for the present they are carrying on with their translation work, Mrs Weir has a very different ambition she wants to fulfil. 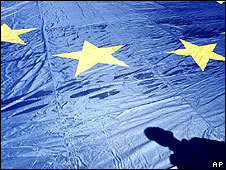 Talks have begun over the possibility of using the Welsh language in some European Union meetings. A spokesman for the UK government confirmed negotiations had begun for the “limited” use of Welsh, following approaches from the Welsh assembly. However, the UK will not press for it to be Europe’s 24th official language. The assembly would have pay for any service, which was likely to be restricted, rather than being a full EU translation and interpretation service. If agreed, Welsh speakers would be able to address some meetings in Welsh, with English translation, but without any interpretation into Welsh.A UK government spokesman said: “Following a request from the Welsh Assembly Government, we are in discussion with EU officials regarding the limited use of Welsh at EU level with a view to establishing a workable and efficient system.”This is not about adding Welsh to the list of official EU languages. “These proposals are still under discussion and no arrangements have yet been agreed. “Any costs incurred if such a system is established will be paid for by the Welsh Assembly Government as part of its commitment to promote the Welsh language.” Plaid Cymru MEP Jill Evans has asked public bodies in Wales to join her campaign for the use of Welsh in the European parliament as well as for the right of Welsh speakers to communicate with the parliament in the language. She has already addressed the parliament in Welsh, without translation, in response to a speech by the former prime minister, Tony Blair. Well, not the same kind of Portuguese anyway. In a highly controversial vote that’s been debated for many years, the Portuguese Parliament has effectively changing the language of Portugal to the type of Portuguese spoken in Brazil. This new standardization requires a change in spelling for hundreds of words, adds three new letters to the alphabet and adds new words to the vernacular. All books will have to be republished in Brazilian Portuguese, and school curriculums will now be taught using the new language standardization. The change was enormously controversial because it was seen as a matter of national pride by the former colonial power. But the seven other Portuguese-speaking countries in the world – Brazil, Angola, Mozambique, East Timor, Cape Verde, Guinea-Bissau, and Sao Tome and Principe – had already standardized to Brazilian years ago. It was understandably a hard reality for Portuguese to face – adopting the ‘bastardized’ language of their former colonial possession. But the stark reality is this: there are about 230 million Portuguese speakers globally. Brazil accounts for about 190 million of them (83 percent). Portugal has just 10.6 million of them (4.6 percent). The debate about the changes brings back memories of the tumultuous decolonisation debate that took place in the early 70’s after the death of the dictator Salazar. A petition against the changes has been signed by about 33,000 people in Portugal. But, there’s really no going back now. Living in the UK and constantly observing the many differences between American English and British English, the concept is a fascinating one to me. Considering that Portugal was the earliest colonial power, could it also be just the earliest to accept the language dominance of its former colony? Spain and France also have sharp differences between their language and the language spoken in their former realms. But considering the regional language differences even within Spain, it’s doubtful the Spanish government would ever be able to get the whole country to agree on any one standardization. And I’ll eat my hat the day I see France start speaking West African French. But what about the UK? The country’s media is already dominated by American cultural influence. Seventy percent of films shown in UK theatres are American. When you take cable stations into account, 60 percent of television programming in the UK is American. The result of this is that, though they don’t speak it, all British people know American English. When I first came here I had a hell of a time learning all of the different words, spelling, expressions and cadences that are used here. I actually had to get an American to British translation book to help me out, and this web site was also quite helpful. But what I found rather unfair is that although I was hearing all of the British words and expressions for the first time, they all already knew the American counterparts of their words. So when I would use the wrong word for something they would laugh, but they would still know what I meant. In fact, the only instances when I’ve not been understood because I’m using an American word (like sneakers, elevator, trunk, band aid, wrench, etc) is when I’m speaking to a foreign person, particularly Eastern Europeans, who have only learned British English here. So culturally, British people are already hearing American English constantly, if not speaking it. Now let’s look at the numbers. There are roughly 350 million people worldwide who speak English as their first language. 233 million of them are in the US and Canada, where American English is spoken. 84 million of them are in the UK, Ireland, Australia, South Africa and New Zealand, the largest countries in which British English is spoken. That means that there are nearly three times as many American English speakers as there are British English speakers. That may look like nothing compared to the wide margin between Brazilian Portuguese and Portuguese Portuguese speakers, but it’s still significant. Can you imagine the UK standardizing its English to the American version? The short answer is of course no. Though the number of first language speakers may be small, many people globally learn British English as their second language, particularly in India where it is the language of business and government. That gives British English a whole lot of people to back it up! (Although, it should be pointed out, China is learning American English, not British). Still, it must be darn annoying for manufacturers advertisers and publishers to have to constantly make two different versions of everything so that there aren’t spelling and word discrepancies. I’m often amused when I see a commercial on TV here I know is American but has been dubbed over into British English so it’s using the correct words. One imagines it would save a lot of money and energy harmonizing the two languages. By decree of a law passed last week, Portugal will no longer speak Portuguese. Even if there was something lost in translation, is such a guideline really necessary? Who requires tangible literature to understand the simple notion of decency, tolerance and respect? And if enlightenment truly is required, can’t it be obtained on the playing field, where every competitor in Beijing has overcome sizable, deeply personal obstacles just to get there? Consider Olson. His life was forever changed when a rocket-propelled grenade hit his truck while on night patrol in Northern Iraq in 2003, severing his right leg. Olson spent months at Walter Reed Army Medical Center and was later invited to compete on the U.S. Army marksmanship unit, a break that kick-started his Olympic dream. What about Long? The 2006 Paralympian of the Year, she was born without the long bones in both of her legs. At 18 months, she had surgery to remove her misshapen feet. When we met in April, Long, now 16, recounted a story of watching the kids in her neighborhood run up a hill with little effort, knowing it would be hard for her to do the same because the surface wasn’t flat (she gets around using prosthetics). I instantly began to nod. Having a disability sometimes means routine tasks require great effort, but you dig deep and get the job done. “I think I got my determination from my disability,” said Long, who won nine gold medals at the 2006 world championships and last year beat out Michael Phelps and Candace Parker for the Sullivan Award. “There’s nothing I can’t do. It’s better to (think like that) than staying in my room and being ashamed.”If the volunteers in Beijing really need “skills for helping the disabled,” that’s the best insight they could ask for. Between 29 June and 2 July the literary congress WALTIC will gather about a thousand writes and translators for a manifestation of the value of words and in support of human rights. All the Nordic countries are represented amongst the participants who come from 60 countries. “WALTIC will take a stand to increase world literacy, safeguard freedom of expression and strengthen authors’ rights. These are issues driven by the Nordic translators and writers’ unions which needs global co-operation,” says Mats Söderlund, chair of both WALTIC and the Swedish Writers’ Union. The translator and art critic Ika Kaminka from Norway will give a talk on the Norwegian translator union’s struggle for an agreement, which was pushed through after a strike. “The Norwegian translators’ strike is quite unique and many are curious about it. The exchange of knowledge between various parts of the world and regions will be an important part of the congress,” says Mats Söderlund. Among the almost sixty seminar speakers will be the Swedish author Jonas Hassen Khemiri, whose celebrated debut with ‘Ett öga rött’/’One Eye Red’ was written in his own consciously constructed Swedish (hamilska). He will take part in the seminar ‘Language vs. Experience’. Leevi Lehto is a translator and poetry activist from Finland, who is, amongst other things, the initiator of the internet based publishing house ‘ntamo’. At WALTIC Leevi Lehto will be part of a panel under ‘The Revolution is Faceless’, a seminar on digitalisation. WALTIC will take place in Stockholm 29 June – 2 July. It is the first literary world congress of its kind. For the first time ever, writers and translators will be gathered together in a joint manifestation of the value of words and in support of human rights. The promoter and host for WALTIC 2008 is the Swedish Writers’ Union. Participants will include writers and literary translators as well as scholars, activists and opinion makers. At conferences and in the literature on community interpreting there is one burning issue that reappears constantly: the interpreter’s role. What are the norms by which the facilitators of communication shape their role? Is there indeed only one role for the community interpreter or are there several? Is community interpreting aimed at facilitating communication, empowering individuals by giving them a voice or, in wider terms, at redressing the power balance in society? In this volume scholars and practitioners from different countries address these questions, offering a representative sample of ongoing research into community interpreting in the Western world, of interest to all who have a stake in this form of interpreting.